Tom Hardy joined IBM in 1970 as an industrial designer and was involved in development of numerous products and systems, including the first IBM Personal Computer. 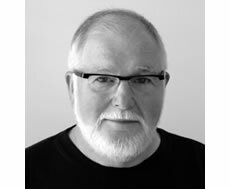 He moved into design management in 1981 and held positions at local, division and corporate levels. As Corporate Manager of the IBM Design Program, Mr. Hardy directed worldwide design and identity activities in collaboration with preeminent designers Richard Sapper and Paul Rand, while coordinating fifteen design centers in Europe, Japan and United States. Among results from the IBM "differentiated personality" strategy developed under his corporate direction was the highly successful ThinkPad notebook computer series. The original ThinkPad, first launched in 1992, together with other award winning product designs initiated during his corporate leadership tenure, helped lay the foundation for revitalization of IBM's brand image and became symbols of the company's business recovery in the 1990s. As an independent design strategist, Mr. Hardy combines his extensive corporate design management experience with the objectivity, insights and diversity of an external consultant. From 1996 to 2003 he served as Corporate Design Advisor to Samsung Electronics assisting in their effort to focus on innovative product design and improve global brand equity. As a result of their emphasis on differentiated brand-design strategy, the brand value of Samsung Electronics soared from $5.2 billion to $16.9 billion, helping transform Samsung's image from a commodity electronics manufacturer to a major brand presence and product design leader. Mr. Hardy's design management and strategy work has been cited in major publications. The Rizzoli book World Design featured his role in IBM global design and identity coordination. 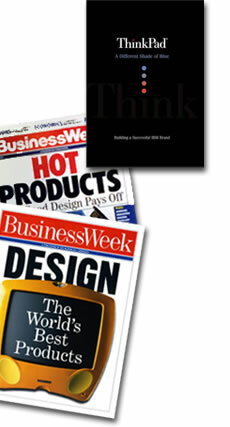 Accounts of contributions to the creation of ThinkPad include Business Week's 1993 "Hot Products" issue and three books: ThinkPad: A Different Shade of Blue, Management of Strategic Alliances and The Race for Perfect, as well as a case study published in 1994 by The London Business School. The 2007 anniversary issue of PC Magazine also highlighted his innovative leadership role in the original ThinkPad development process. Mr. Hardy's strategic work with Samsung Electronics contributed to the company being continually recognized in global publications for award winning product design. For example, Business Week's 2002 issue on "Cool Korea" cited his advisory role of inspiring Samsung designers to 'think out of the box'. Hardy's work also helped Samsung progress from a single IDEA award in 1996 to exceed Apple Computer in 2004 with the most such awards given any corporation over a five-year period. Three business school case studies attributing Samsung’s global success to brand-design strategy were published by SCMS Journal of Indian Management, Bangalore, Thunderbird School of Global Management and Harvard Business School Publishing. Products resulting from his design leadership have been exhibited at The Museum of Modern Art (New York), Cooper-Hewitt National Design Museum (New York), SFMOMA (San Francisco) and Centre National d' Art et de Culture Georges Pompidou (Paris). Mr. Hardy's work as an industrial designer has been recognized with numerous awards including: Industrial Designers Society of America Gold IDEA, The Premio Smau Award (Italy), iF Product Design Award (Germany) and I.D. Magazine Annual Design Review. He holds several design patents and his work is on permanent exhibit at the Smithsonian Institution (Washington, DC). Mr. Hardy writes and lectures internationally on the subject of design and has been published by AXIS (Japan), NikkeiDesign (Japan), formdiskurs (Germany), Design (Taiwan), Design Management Journal (US), Innovation (US) and Design Issues (US). In 1992 he participated as a member of former President Clinton's Roundtable on Design and in 1993 was invited to post-Soviet Estonia by the US Information Agency to speak on design and free market economy. In 1994 he was the recipient of a USA Fellowship from The National Endowment for the Arts to study design innovation across key US technology industries. As visiting design professor at the Georgia Institute of Technology during 1995-96, Mr. Hardy established CoLab, an interdisciplinary design research and innovation laboratory. During that period he also conducted a design team project as guest faculty at the Fachhochschule Köln (Germany). Lectures at academic institutions have included the British Royal College of Art, Columbia University, Art Center College of Design, Pratt Institute and Carnegie-Mellon University. Participation as an awards juror includes the Industrial Designers Society of America IDEA, the Scholastic Art & Writing Awards and the United States Presidential Design Awards. Mr. Hardy has also served numerous non-profit and educational organizations, such as Design Management Institute Advisory Council, Worldesign Foundation Board of Trustees, Auburn University Architecture, Design & Construction Executive Board and Aspen International Design Conference Advisory Board. He is a Professor in the Design Management Program at Savannah College of Art and Design. Copyright 2014 Tom Hardy, all rights reserved Verbal-Visual FrameworkSM, VVFSM, and the VVF logo are registered servicemarks of Tom Hardy. Other company, product and service names and logos are registered trademarks or servicemarks of their respective entity.